Last April I discovered the manifesto for CCTV filmmakers, a proposal for a creative use of the Data Protection Act. I still haven't seen the movie Faceless. The DVD is not yet available but an excerpt and the trailer are on YouTube. 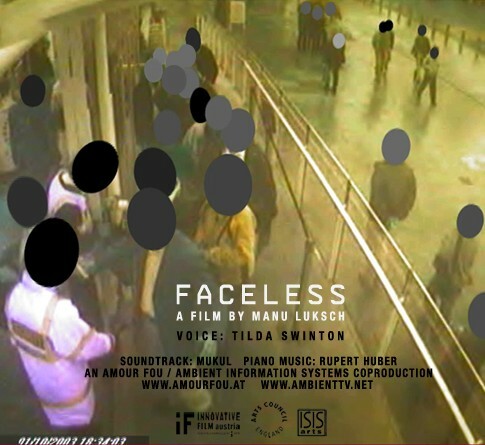 Manu Luksch and Mukul Patel, the filmmakers, published their first-hand experience of the Data Protection Act in a very interesting essay titled Faceless: chasing the data shadow. This short essay (11 pages) runs through the many different types of replies they received to their subject access requests made under the Data Protection Act. It explains the general confusion of many data controllers, how so many CCTV systems are not functional and why the process of obtaining images became much more difficult from 2004. 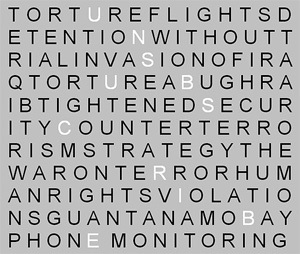 Vague spectres of menace caught on time-coded surveillance cameras justify an entire network of peeping vulture lenses. A web of indifferent watching devices, sweeping every street, every building, to eliminate the possibility of a past tense, the freedom to forget. There can be no highlights, no special moments: a discreet tyranny of “now” has been established. “Real time” in its most pedantic form. The Police have eventually considered my case exceptional and have destroyed my bio-information and deleted the associated database records (more details, in context, at the two links). This document doesn't describe the process after the red circled box is reached. Hopefully there are processes to ensure that no database record or bio-information sample is missed in the destruction and deletion procedure. Last year 115 cases were considered exceptional. Related news: on 2007-09-18, the Nuffield Council on Bioethics will be publishing its Report The Forensic Use of Bioinformation: Ethical Issues (agenda and registration). 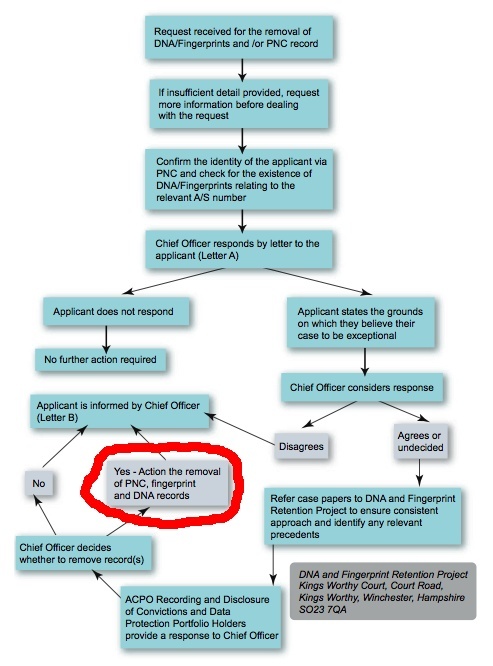 My response to the consultation and other background info can be found in Should the Police keep your DNA forever?. Last week, Lord Justice Sedley's said it would be fairer to expand the National DNA database to cover the whole population and all those who visited the UK, even for a weekend. Justified? Proportionate?